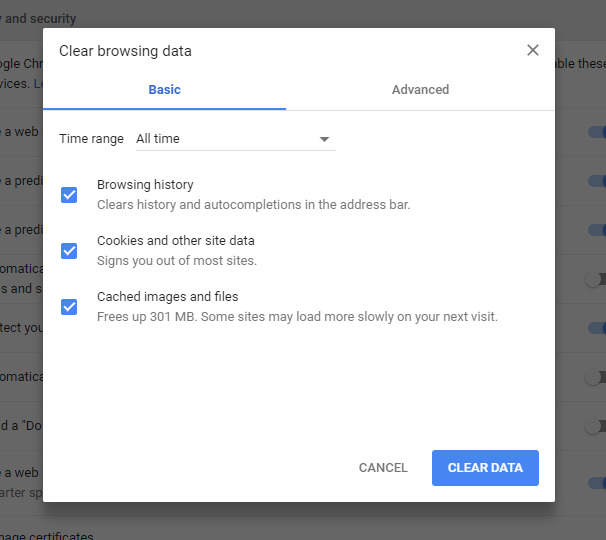 When Paya's development team deploys an update to our networks or products, our merchants may need to clear cached browsing data. Below is the information for each major browser to erase the data. Open a browser window and click on the Gear icon (alt+x) in the upper right-hand corner of the browser window to open the tools menu. In the Browsing history section, click the Delete... button. Make sure that you are selecting the Browsing History options like the screenshot below. Restart the Browser and attempt to access the Paya product that you are trying to use. Open a browser window and click on the Options button in the upper right-hand corner of the browser next to the address bar (three dots in a verticle line). 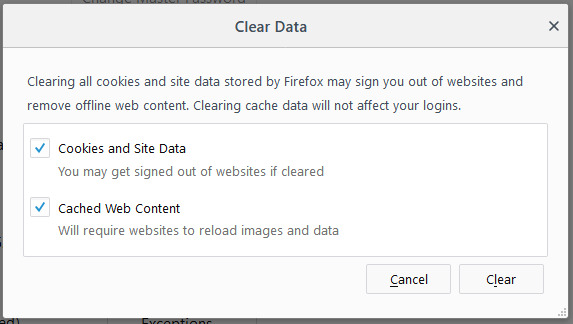 In the privacy and security window select the Clear browsing data option. In the pop-up window, you will need to click on the drop down for the Time Range option and select All time. 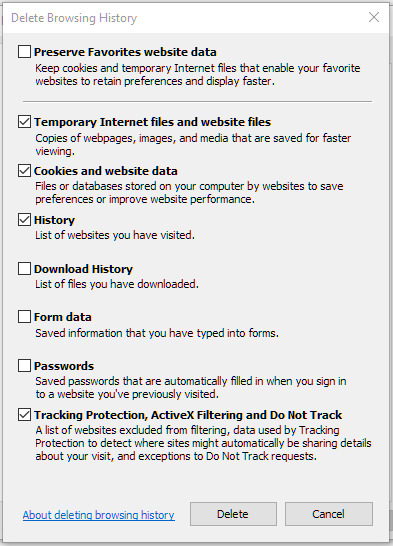 Make sure that you are selecting the browsing data options like the screenshot below. Once completed you will be returned to the settings menu, please close the browser and restart the application to reattempt using the Paya product that you were using. Open a browser window and paste this command into the address field, about:preferences#privacy this will bring you to the Browser Privacy settings. 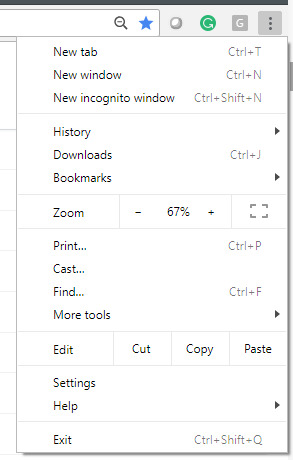 Alternatively, you can navigate to the Browser Privacy menu by clicking the Menu button in the upper right corner of the browsing window. Then click Privacy & Security on the left-hand side of the page. 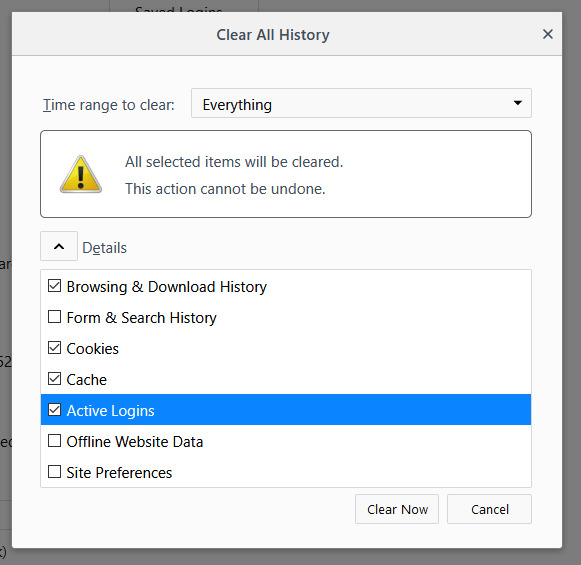 In the Clear Recent History pop-up window select Everything from the Time range to clear option, then set the items to clear like below. Then you will be returned to the Privacy & Security menu, now click the Clear Data button. In the Clear Data pop-up window make sure the selections are the same as below. Reattempt using the Paya product that you were using. If you continue to have issues after this process please contact Paya Customer Support at 800-261-0240, or email us at support@paya.com.